New Faber steel Cylinders with K valves. 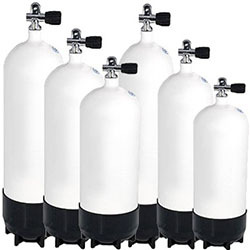 The perfect dive tank for scuba divers. For your safety we want to ensure that values are inserted correctly, we will not ship to customers and tanks must be collected from our premises.